Very cool, I love the way people can do this with wood. That maple front looks perfect, and the D-pad is very impressive. 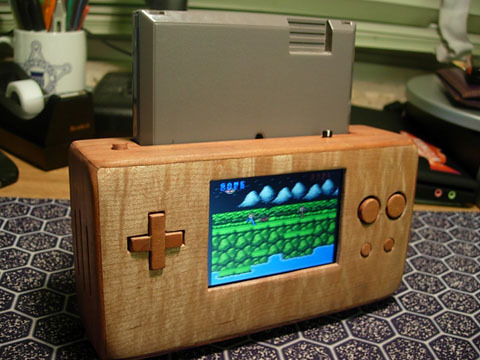 A very nice case for an NES portable.